Party guests can enjoy painting from a selection of our full size and useable banks, trinket boxes, mugs and plates! This is our most popular party package, and includes time to paint, open presents and eat cake! 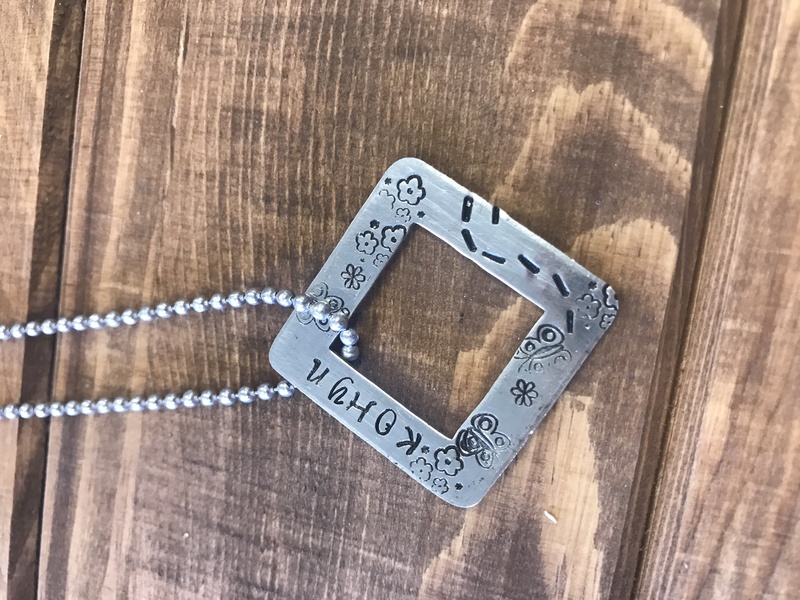 A 6” pottery tile is included, with all of their friend’s finger prints as a memento for the Birthday Guest! Time: Parties last 1 ½ hours, and this includes time for cake and presents! A package perfect for our little artists! 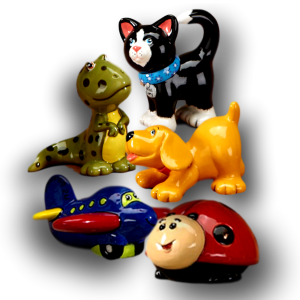 Party goers can choose from a selection of our 3” tall Party Animal figurines. This package is designed for little ones that do best with a short session and normally does not include time for cake and presents. An option to extend your party an extra 30 minutes to allow for these extras is a $20 fee. Time: Parties last 60 minutes without cake and presents. An extra 30 minutes can be added for a $20 fee to accommodate cake and presents. It’s time to SLIME! 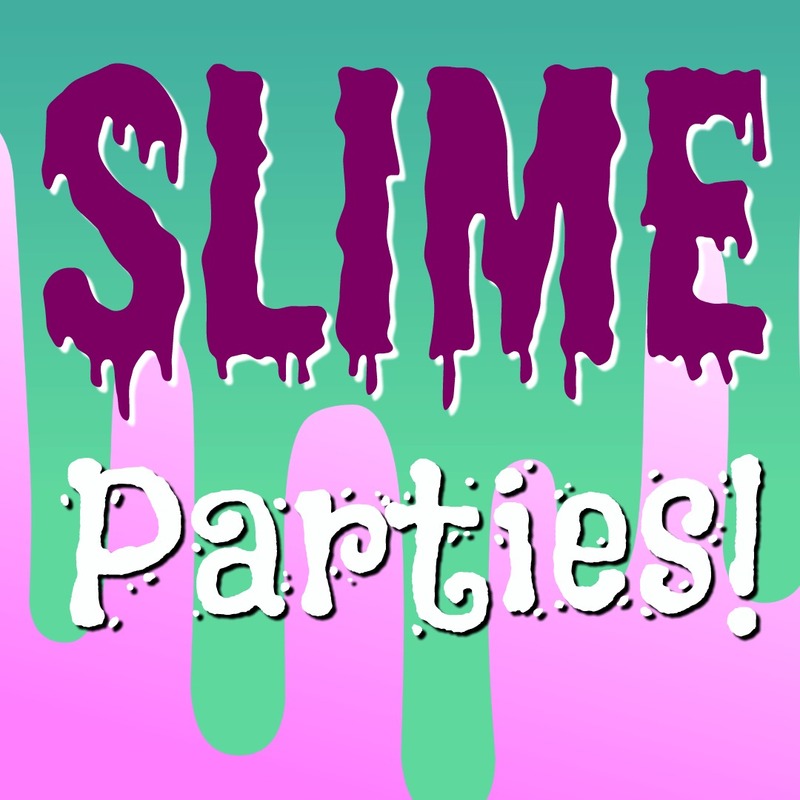 Party goers will each make two types of slime, choosing their own colors, glitters and more! Unicorn Slime, Dragon Scale Slime, Fluffy Slime, and more! Time: Parties last 90 minutes from start to finish, includes at least 30 minutes for cake and presents. 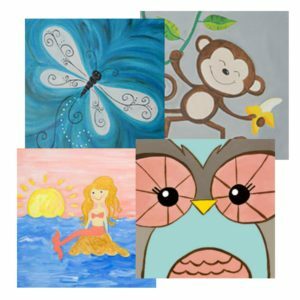 Our Canvas Painting Parties are full of fun! Children learn to how to trace a design decorated onto a canvas and use acrylic paints to make their own masterpiece! 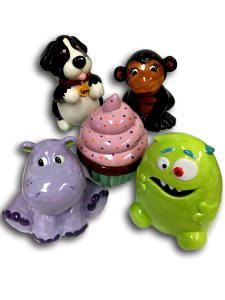 We offer several different designs that the Birthday Guest can choose for their entire party. Time to enjoy cake and presents is included, and a 6” pottery tile is included, with the finger prints of all the attendants as a memento for the Birthday Guest! Guests can take their 12”x12” canvases home the same day! Time: Parties last 2 hours, and include time for cake and presents.